"Playtime" in Petersburg and "Peking?" 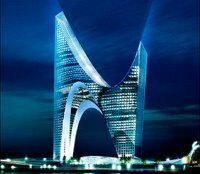 of the planned Gazprom City in St. Petersburg. Check out the slideshow. Rem’s work for the Chinese state. Not aesthetically, not politically. With skyscrapers, there has always been a fine line between the heroic and the humbling. But any individual who stands under the canopy of CCTV’s suspended cantilever will have no uncertainty about the power of the Chinese state. 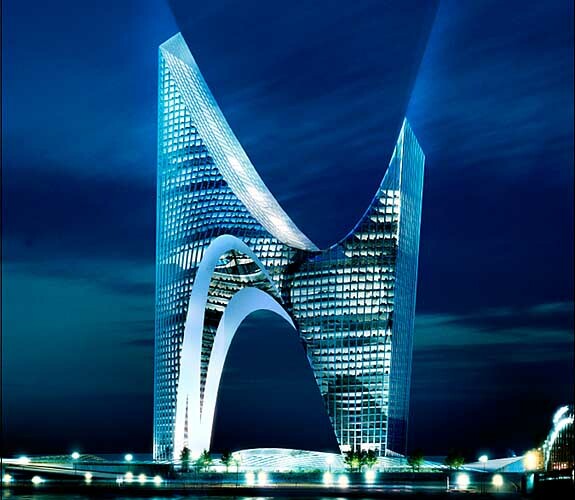 … As with so much in China, the scale is so immense that the mind can hardly comprehend it. The world’s greatest skyscrapers make you believe you can reach the heavens. You feel uplifted by your part in humankind’s accomplishment. But it’s hard to imagine anyone passing over CCTV’s glass-floored upper cantilever without experiencing a moment of terror. 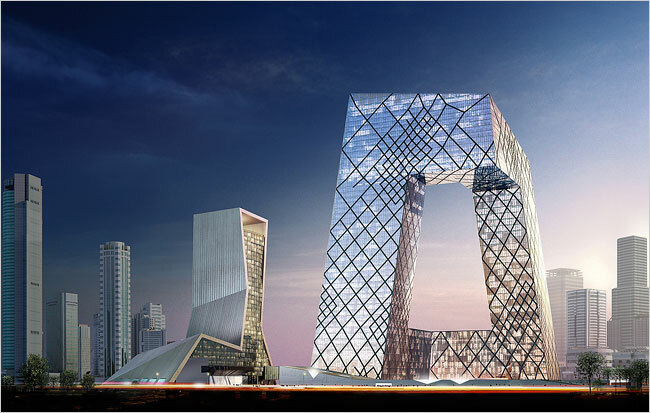 There’s no denying that Koolhaas and Scheeren have created thrilling new forms for a new kind of city. But it appears to be a city that only the coldest hearts will long to inhabit. 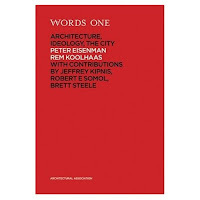 Koolhaas (full name Remment Koolhaas) has been a strong critic of the U.S. government. But apparently Chinese money is clean. Oh and Time Europe hearts Rem. In fact, he’s one of their heroes. I thought “the people are the heroes now.” But If we live like this, in the shadows of towers of industry, I think we’ll feel like peasants. 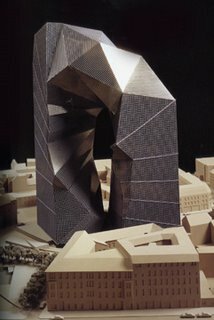 Peter Eisenman’s unbuilt mobius strip from 1992 for Max Reinhardt Haus in Berlin.